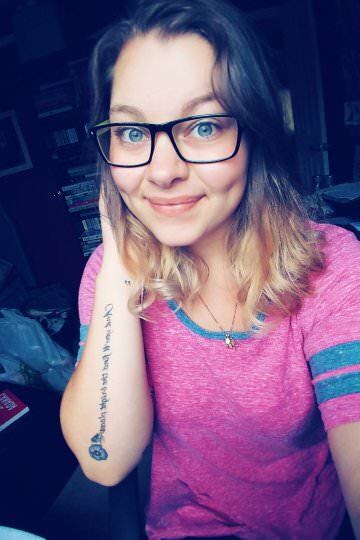 On a bitter cold winter night Bailey Walsh’s family was killed in a traffic accident. Two years later as she lives with her aunt and uncle in Southern California, Bailey is still plagued by the nightmares of that terrible night. Everywhere around her are reminders of what she lost. Even her aunt, in a cruel twist of fate, is not just her mom’s sister, but her identical twin. Babysitting Riley, a spunky two-year old, is a sweet distraction and one constant light in her life. One day as she takes Riley to the park she meets Collin McKenna, a senior at her high school and her life is changed forever as he helps her find herself and realize her life is worth living. As the romance between them grows her broken heart begins to heal. However, still nagging in the back of her conscious is the fear that her new found happiness could come crashing down and she could lose everything she loves, yet again. Outside forces begin to tear them apart and Bailey must learn to trust in herself and realize that she is worthy of happiness. That sometimes love and healing comes in unexpected forms. Before I step into my review on this pretty great book, let me start off by saying Thank-You to Melissa A. Hanson for sending me both the first and second book in this series for review. Believe me when I say, that I will be starting the second one as soon as I have finished this review post! Well this story jumps right in, and it leaves nothing to the imagination! You get full understanding of what has and is happening to Bailey within the first few chapters! So much loss and heartache, you can't help but feel something for her! I honestly could feel the devastation that she went through at some points of the book. I did find though that there was an instant attraction between Collin and Bailey, which was very cute, but I would have wanted something a little more "hard to get" as in their relationship didn't bloom until a little later on. Because their romance started so early on, I found that there was more drama going on since it was such a new "blossoming" romance. This girl has a LOT OF *ahem* Guts... Never stopping until she can get what she wants, even if no one wants her...SHE DOESN'T EVEN GO HERE!! Just when I thought everything was done, she pops back up like a pimple on your face, fighting to go away. The more you try to squeeze it, the longer it stays... (sorry for that mental image by the way!) haha! I just think that she totally needed to be put in her place, although, it wasn't that easy when it just wasn't getting through her head! Moving on from the terrible Savannah, I have to talk about how adorable Riley and Lacey are! Honestly the way that they talk and interact, have me totally foreseeing them becoming a couple when they get older! Also, the love that Bailey has for Riley and Collin has for Lacey are just something undeniable. I totally love the fact that they will do anything for those little ones, and you can see how much they mean to one another. Collin totally gets Big Brother points over his relationship with his sister! I definitely think that Collin was a total bae for Bailey, with the flowers, necklace, and at the end of that book....WOW! I can't even explain, because it would totally spoil it! But the things that they both ended up going through throughout the novel was just something you don't see everyday. At the same time, you could tell how much that they truly cared for one another, and literally dropping everything to be by their side. When the first twist happened, I just sat there looking at the words, not knowing if I really wanted to continue, because I didn't expect it to happen! By the time the second twist happened, I was just so done! (In a good way!) "I can't even" Was probably the sentence you could say I was going through. Okay, so I know I was moving on from Savannah, but I have to say that there were some moments were I laughed over some of the petty things that she ended up doing, because she thought it would actually work....There was the beach scene, where I totally knew that nothing good was going to happen, and since then, I just couldn't put it down! I really wanted to know what was going to happen between this semi-love triangle. HELLO Cat fight! Of course there were a couple quotes that caught my eye throughout the novel, that kind of just explains what they were feeling and going through. "You have completely invaded my soul and consumed my heart." "I realized now that love is not just excitement, tenderness, feeling special; it is also a bone crushing reality of pain." Overall I did really like the book. I found it to be compelling with all of the drama, loss, and love that went on from beginning to end. If you've read this, all I can say is *The Lookout* Such a great place for many scenes! I thought that there could have been a little more depth between the characters as in that they may have been too young for me, and that the insta-love that happened, was too early on. I did really see a big connection between the two, and I found the book filled with a lot of FEELS and a roller coaster of emotions! Definitely something that I would want to read on a snowy, rainy kind of day. A book to snuggle up with and enjoy a cute fun read! Of course there were some serious moments where I could feel the pain, and others where I just laughed out loud! I seriously cannot wait to read A Healing Spirit to see what happens to these characters!! 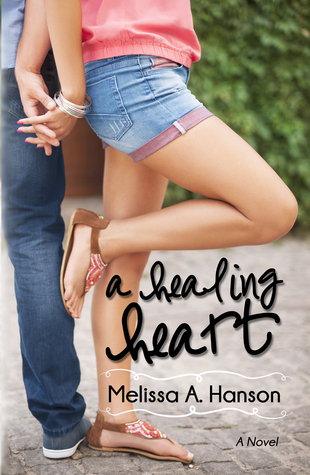 That's all for my review of A Healing Heart! I hope you enjoyed it!